Let the madness begin! 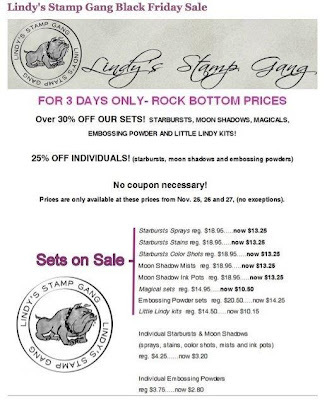 Lindy's Stamp Gang is having a huge sale! If you loved all the shimmery goodness on my projects don't miss out on the fabulous deals going on. Happy Thanksgiving everyone! I just wanted to thank all of you for your continued support on my blog and YouTube Channel. I am very thankful to be a part of this crafting community. 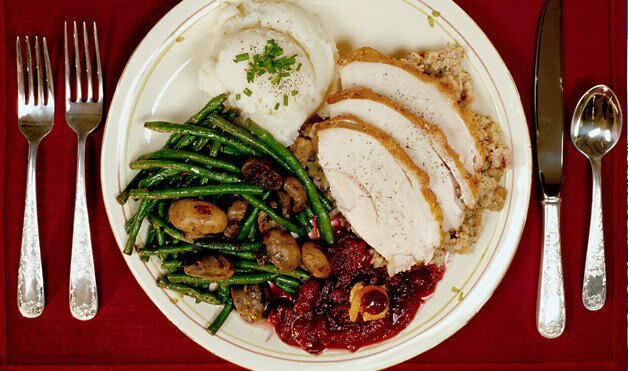 Thanksgiving is very special to me because it is my FAVORITE MEAL of the year! LOL, not food but MEAL hahaha. Thank you to my mom and all the moms out there who make this happen!! Good afternoon everyone. I have an I Am Roses project to share today. It is a gift box and a card. This was a hostess gift for my friend Thai (YouTube: EvilScrapper). She was kind enough to open up her place for me to stay the night after a birthday crop that we went to. I made the coordinating gift box to go with the card. You can watch my tutorial video here, showing how you can make a similar box with any design paper of your choosing. I added more of the rose buds in front, as well as the 1/2" White Flowers and a Black Rose from a Random Mixed Sizes of Black Tones. I wanted to personalize the lid, so I used some die cuts to spell out her name. The leaves and the letters were sprayed with a gorgeous black from Lindy's Stamp Gang, Midnight Rendezvous Black. I added some bling and more flowers on the top left corner. For more details you can view my video of this project here. Thanks for stopping by! Enjoy your short work week (for those in the U.S)! Happy Sunday everyone! 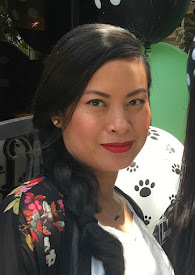 We had an AMAZING response for the I Am Roses “Fall into Autumn” Blog Hop. We wanted to thank you for participating in the hop and showing your love & support for the projects the design team created just for you. Are you ready to find out where the secret blog candy was hidden and who the winner is? Head on over to the I Am Roses Challenge Blog where it’s all revealed. Hi everyone Happy Thursday evening or Friday! I created this I Am Roses holiday gift box to share with you guys. It was really simple to make using designer paper. You can watch the tutorial here. All the edges were inked with Walnut Stain Distress Ink. The sentiment "Merriest Wishes" is from a Hero Arts stamp set. I framed it with the Classic Ovals Small and Labels Four dies from Spellbinders. I then used dimensional pop dots to raise it up and it allows the seam binding to run through the back. Some 1/4" Red & Brown Mini Paper Roses and 1/2" White Paper Roses accent the corners. I am in love with this new flower to the I Am Roses Site, Big Red Gardenia. I used it as the centerpiece in the floral arrangement on the lid. One word, gorgeous! I first placed some brown seam binding and then laid some Skeleton Leaves as the base. I randomly placed White Cherry Blossoms, 1" White Paper Roses, Brown Paper Roses and some Mini Red Paper Roses all around the base of the red gardenia. The box is filled with yummy goodies for my friend for a holiday crop party. I can't wait for her to see it =). I hope you've enjoyed my gift box and tutorial video. Have a fabulous Friday and weekend! WELCOME! 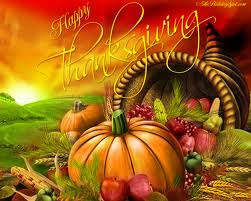 Thank you all for joining the I Am Roses Fall into Autumn 2011 Blog Hop! The Design Team is thrilled to share our special projects with you showcasing some of the latest flowers and old favorites. 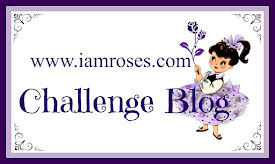 If you are coming first to my blog, you will want to head to the I Am Roses Challenge Blog to start at the beginning. We also wanted to thank you for all the support and wonderful comments on our YouTube Channel iamrosesdt; we have reached over 1,400 subscribers! What better way to celebrate this FALL season is with a PRIZE! 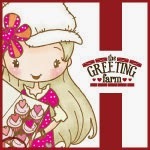 - Hop along to each of the design team member's blogs and be sure to comment on their individual Fall into Autumn 2011 Blog Hop post. 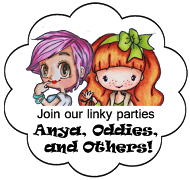 - There is 1 hidden blog candy prize up for grabs in one of our DT member’s blogs! 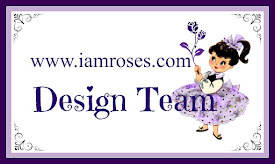 - Be sure to subscribe/follow the new I Am Roses Challenge Blog. 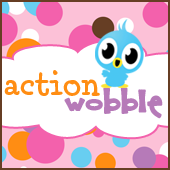 - Commenting along the way highly increases your chance of winning the prize package. - We will be randomly selecting 1 winner from the comments on one of the blogs and will announce the winner on Sunday, Nov. 6th! Our challenge for this hop was to create a Fall themed tag using I Am Roses flowers. This is my tag for you guys today. The tag measures 3 1/8" x 6 1/8". I am still trying to use my paper stash and this one is My Mind's Eye Bohemian collection. The stamp set I used is from Inkadinkadoo Autumn Foliage. The sentiment is embossed with gold embossing powder. The two frames are from Tattered Angels, the square frame is sprayed with Dark Chocolate Truffle Starburst from Lindy's Stamp Gang and the ornate frame was colored with some gold glitter nail polish, yes I used nail polish LOL. I distressed the edges of the tag with Spiced Marmalade Distress Ink. The orange tangerine cherry blossoms were perfect for my Fall theme. I layered some green daisy leaves with some gold metal flat leaves from Lindy's Stamp Gang. I just love the white gardenia as the main floral focal point. To finish off the tag I used some fibers in lieu of ribbon. So there is my tag and I hope you enjoyed it. Links of the flowers will be posted below. Next Design Team member up is Joy! I’m sure she has something AMAZING to share with you! Also don't forget to Subscribe/Follow the new I Am Roses Challenge Blog to qualify to win! Thanks for coming by and playing along! Good Luck!